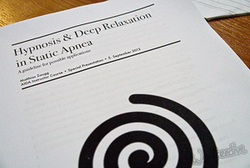 Hypnosis and Deep Relaxation in Static Apnea. A great read that puts together a few pieces in the big puzzle of established practices, scientific research good ideas and practical ideas. Emma Bryce's video is a great, concise visualisation of the basic understanding of how lungs work. 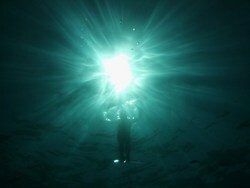 Taking a look at the roles of Carbon Dioxide (CO2) and Oxygen (O2) in our breathing, it prepares us well for a beginners' freediving course and may well fill in some details even for advanced freedivers. Read more: TEDed - How do the Lungs Work? Decompression related injuries (DCS) have become a significant factor in advanced freediving and one way of reducing the risk of DCS is to work with well-defined surface intervals. How to calculate this surface interval is the logical question. We do not have the tables established in the experimentation done for scuba divers and very little hard data to go by. So rules of thumb were created to at least have some idea. What is the Scubapro Meridian like for freediving? An unfinished product or a raw diamond? 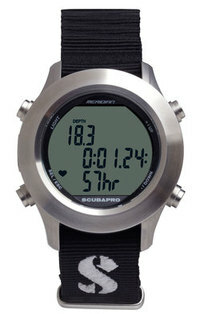 The Scubapro Meridian is an advanced watch-size dive computer that offers a Scuba-, Gauge- as well as an Apnea mode which targets a group of users who want to scuba dive as well as freedive, both potentially to an advanced level, as features like gas changes and a depth rating to 120 metres suggest.